Eclectic Educating: How Do You Get Them Ready to Read? How Do You Get Them Ready to Read? Now that I am finally finishing up testing and rejoining the world of teaching, I wanted to share how to start off the year with those little kindergarteners before you jump into full blown reading. There are many foundational skills that lay the groundwork for reading later in the year. These ideas can be done whole group, but I use them in my small group guided reading. First and foremost, it is crucial that students have an understanding of their letters and sounds before they can become successful readers. 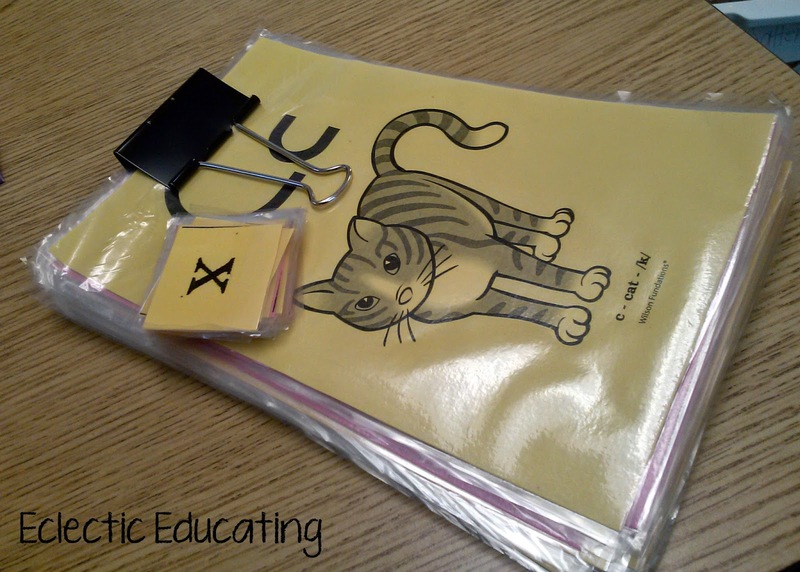 Since my district uses Fundations, I made a set of matching cards to review letters and sounds with my students. I believe consistency is key. As the year goes on, I slowly wean the students away from the keywords on the cards. At the beginning of the year, the keywords are very helpful as a bridge between the letters and their sounds. I try to add a tactile component by having students write their letters in paint. 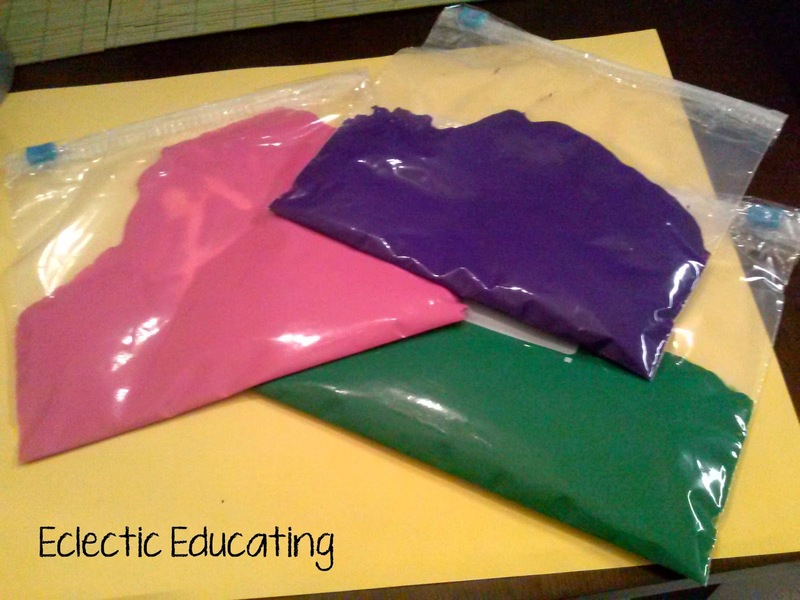 (sealed in a ziploc - I am doing this in someone else's classroom after all!) I might tell them the letter name or give them the sound and have them determine the corresponding letter. This is a popular activity with my students. 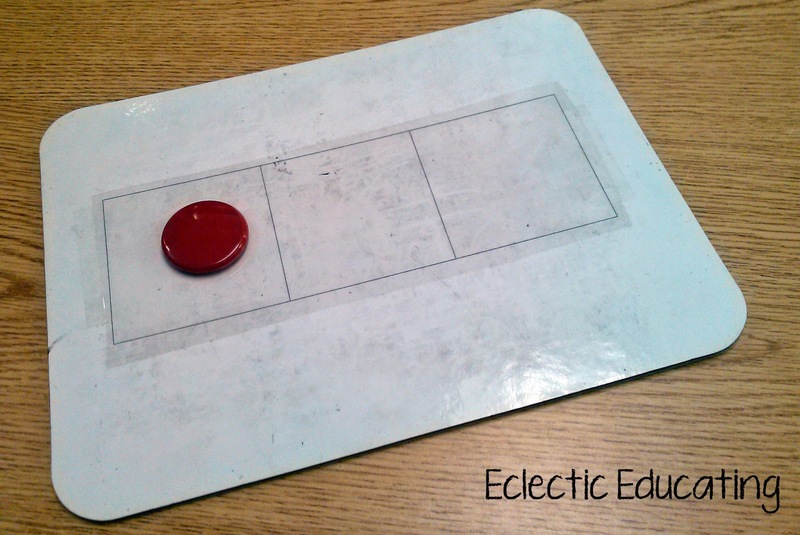 It is also important that students begin to develop a strong phonological awareness. We practice separate words spoken orally into phonemes. I use magnetic boards as elkonin boxes. In the future, students will use this skill in writing and also the reverse for sounding out words. Before students begin reading, they need to understand the difference between letters and words. One word students will definitely need to know is their name. Hopefully many already know the letters in their name. We practice putting the letters together to make this special word. We also discuss capital letters. Shared reading is crucial in kindergarten. We use this activity to go over the concepts of print. We circle words and letters, underline sight words, discuss punctuation, practice one-to-one correspondence, and work on correct phrasing. 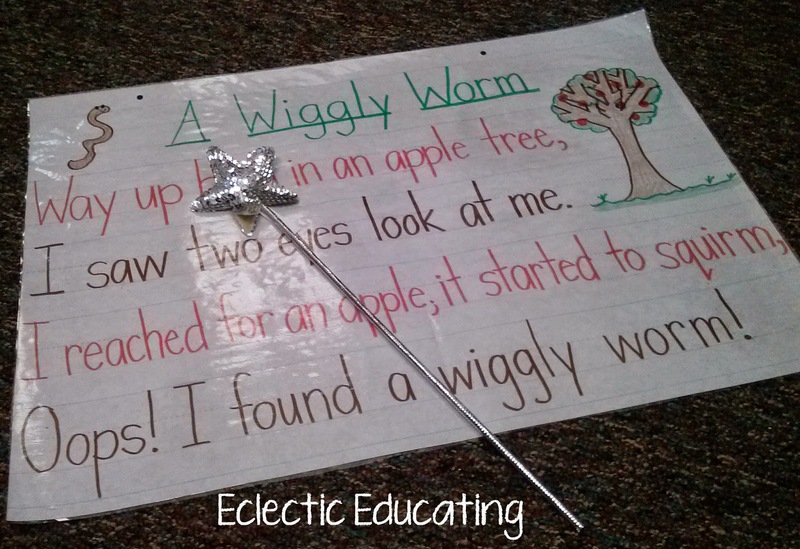 I use a magic wand because it is cheaper than a teacher pointer and still gets the job done. At first, I do a lot of modeling, but then students begin leading the activity. As we practice through choral reading, students begin to identify many words through repetition. I also use interactive writing with my students. We write a sentence (often related to the shared reading) together on a sentence strip. As we write, we talk about capital letters, punctuation, spacing between words, and other concepts of print. Then, I cut the sentence up. We put the sentence back together as a group and continue to review these concepts of print. These are all great activities to get your students ready to read. It is important to have a strong foundation for success in the future! How do you get your students ready to read? Great ideas for laying that foundation in reading! I love the idea of the paint in the bag-may have to try that one! Thank you for sharing. I like the paint in a bag- I've never heard of that. Also, your reading wand is adorable!